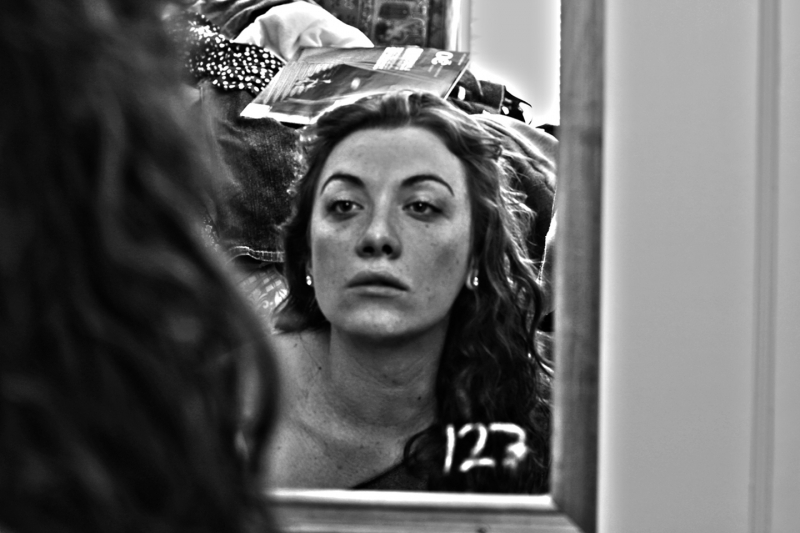 The goal of this self portait was to portray what i see everyday in the mirror. I took this in my room. I sit in the same spot everyday to get myself ready. The background is my bed, it has magazines, clothes, and other random junk that i never clean up. The number on the mirror is my goal weight, which i probably will never reach. I also wanted show the scar on my lip. I was born with a cleft lip and have always been self conscience of it. This was a huge step for me (taking a picture of myself) and an proud of what i have become and nervous to see where i end up.